SEE UPDATED KITCHEN & MASTER BATH.Gem sits far off street w 181 ft of frontage surrounded by new Estate home construction.1.4 acre enclave of total privacy accessed by sweeping pea gravel drive. 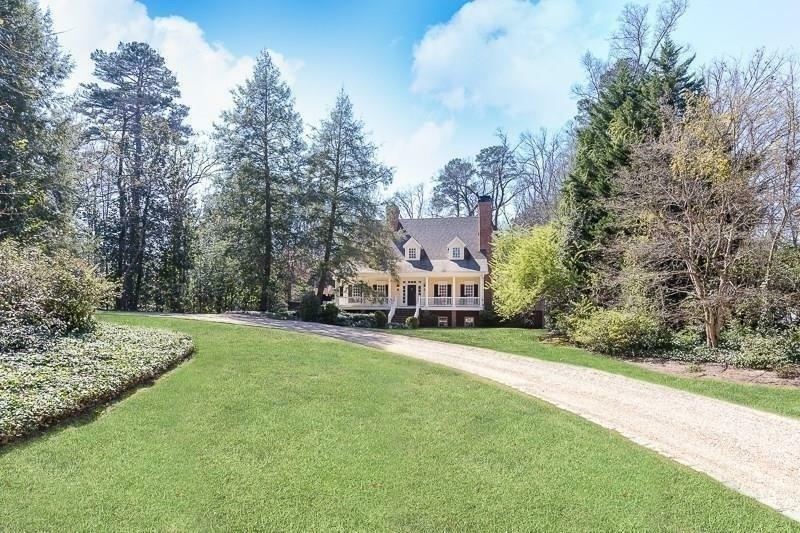 Elegant front porch & foyer leads to LR, 12+ DR w FPs.Naturally aged heart pine floors on main w kitchen, family rm w vaulted ceilings, massive masonry fireplace & rough hewn beams open to kitchen & encl sunroom.Main lvl Master, walk-in closets & FP. 3 car garage, salt water pool/poolhouse ensconced by mature landscaping.3 addl BR/BA w walk-ins, media rm, NEW furnaces.INSPECTED. A representative from Metro Brokers has received your request to visit 2692 Mabry Rd Ne on at .